The 2017 Holiday Tour is Complete & a Success! Thank you to all who participated as guests, entertainers, vendors and volunteers! We hosted over 450 guests on the tour, serving over 5,000 appetizers, over 6,000 glasses of wine, and over 1,600 minutes of Christmas cheer! 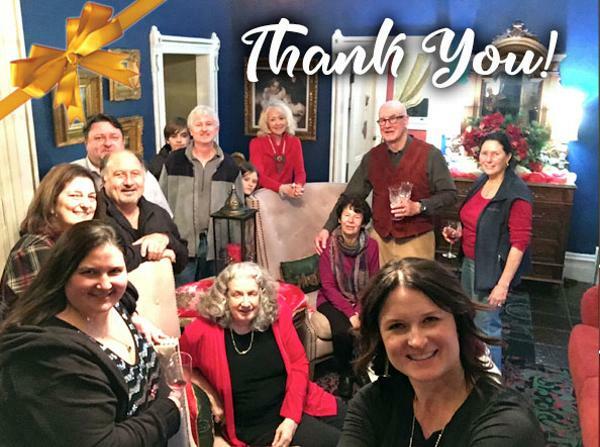 Thank you from the all the innkeepers for another successful Holiday Tour! *In response to the recent Wine Country Fires affecting both Napa Valley and Sonoma, we, the Historic Inns of Napa, will donate 33% of the proceeds from the tour to the Napa Valley Community Disaster Relief Fund. If you'd like to contribute further to the aid of residents and families displaced by the fires, please visit their site and make a pledge today. We look forward to seeing you at next year's event!